The sign at the airport entrance off of Airport Blvd. Future generations will wonder why the street is named that. In the early 20th century airplanes were the transportation method of the future and having a first-class airport was the sign of a prosperous city. 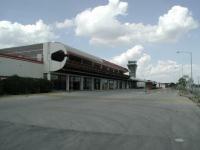 The problem was that Austin did not have much to speak of in terms of a city airport in the 1920's. 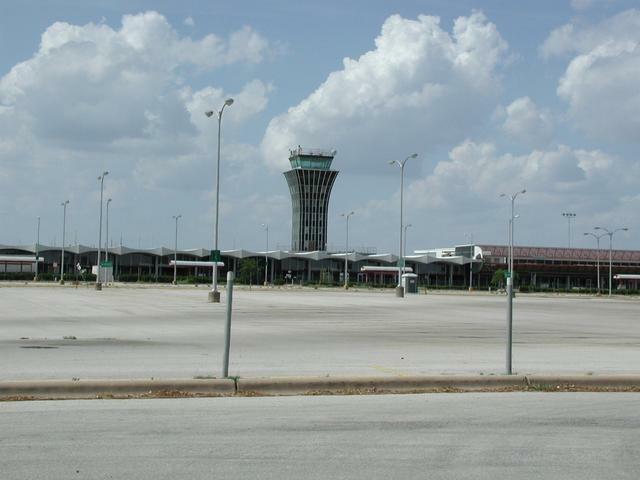 City leaders and local citizens changed that when they set into motion the development of what would be Austin's airport for almost 70 years. 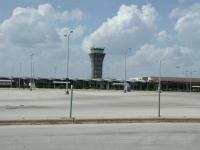 Mueller Airport provided service to Austin up until its closure in 1999 when Austin Bergstrom Airport opened near Del Valle. 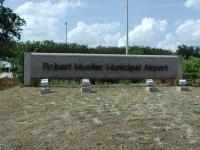 The current location of Mueller Airport was first utilized for aviation use in 1926 when the Austin Air Service operated on 40 leased acres that were to become the northwest end of the airport. 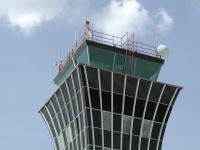 The control tower of Mueller was a distinctive shape on the skyline of Austin. In 1928 Austin voters approved bonds that would be used to purchase land that would become Mueller Airport. 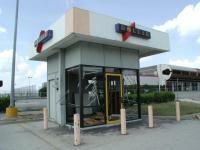 City officials began surveying for appropriate sites and securing options on land. Outside help was used to decide on the most promising sites. Claire Chennault, who would later go on to fame as head of the Flying Tigers in World War II, recommended Mueller's present location over the other options. 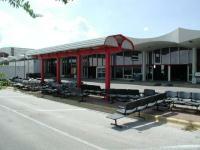 The airport officially opened on October 14, 1930. 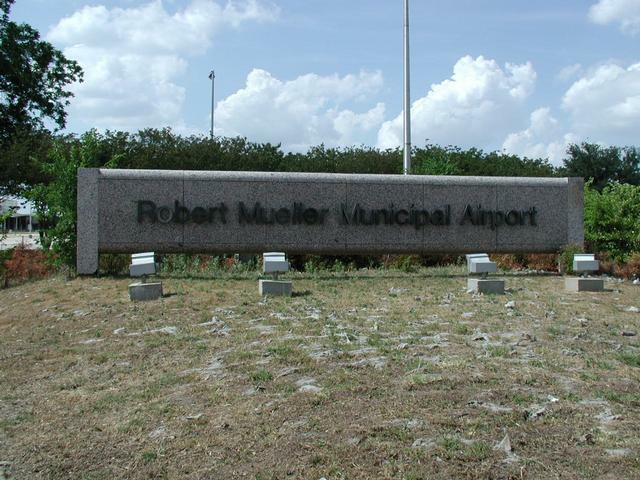 The airport was named for Robert Mueller, a city council member who passed away in 1926. At the time the airport facilities included one small building smaller than most houses today, a gasoline pump and gravel runways. Over the years the facilities at Mueller have improved with the times. The airport's distinctive control tower was part of a terminal dedication in 1961 that was attended by then Vice President Lyndon Johnson. 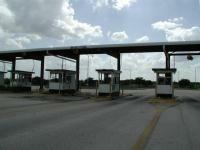 However, improving the facilities at the airport was not enough to stave off closure. The airport was simply ill placed for modern day Austin. Parking at Mueller is not a problem. Feel free to pull right up to the terminal. What was open farm land in the 1920's was now the center of town, with upset residents all around it. A drive down I-35 was not complete without an airliner buzzing overhead. As the airport needs of the city continued to grow there was simply no place to go. 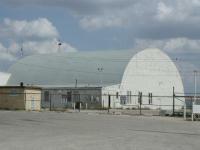 Several old support buildings remain on the northern edge of the airport off of 51st Street. This old hanger used to have some painted identification on the side that has badly faded. Near that same time a series of events were set into motion that seemed fortuitous. In a cost saving measure, the military was closing bases across the country and Bergstrom Air Force base was on the cut list. 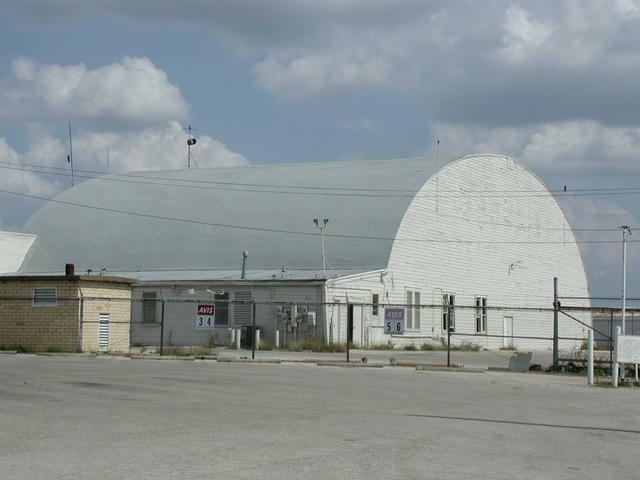 In the 1940's the city of Austin donated the land to the US government for use as an air base with the stipulation that it be returned to the city when no longer used. With the base closure the city had land already paid for that was farther from the center of town and that already had runways more than large enough for most modern jet liners. Mueller was doomed. 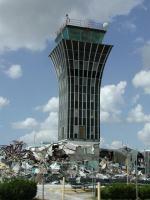 As of August 2002, the buildings of the old airport largely remain, but they are in the process of being torn down with parts being sold off when possible. 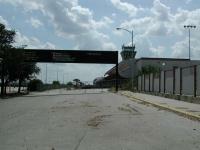 Anybody want to buy a "part" of an airport? The city has big plans for the hundreds of acres that will now be freed up so close to the center of town. A master plan has been in the works for a few years. 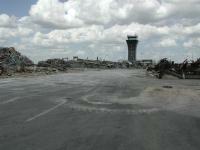 If you'd like to see the remains of this once great airport you had better get out there before the memories fly away. I remember coming here so many times as a child to see my dad off on his business trips. 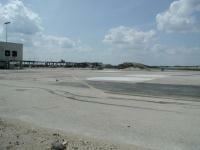 It is now a housing development and shopping center. 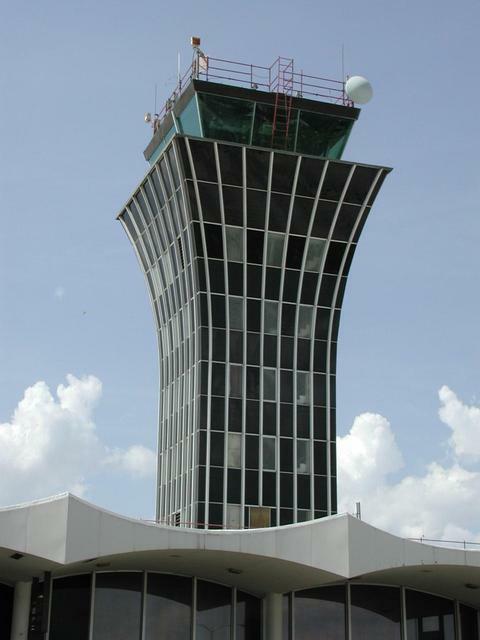 Thankfully, the old control tower still stands and they still put the NOEL lights up on it for Christmas.